One of the entrances to the Everleigh Club. The sisters paid $18,000 annually in renovations (about $450,000 in today's dollars). 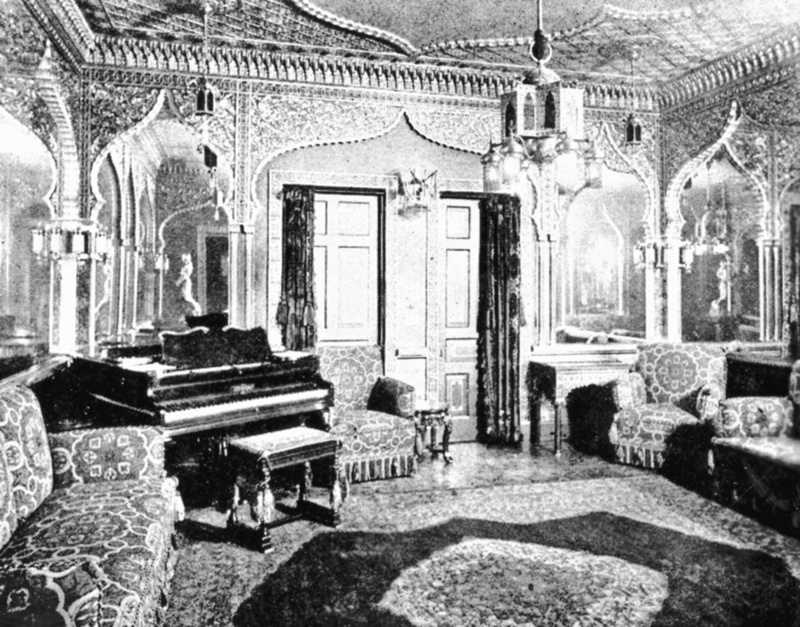 The Oriental Music Room was one of the Everleigh Club's most popular attractions. Literary sensations like Ring Lardner, George Ade, Edgar Lee Masters and Theodore Dreiser all came to listen to the Everleigh "butterflies" play the piano and recite poetry classics. 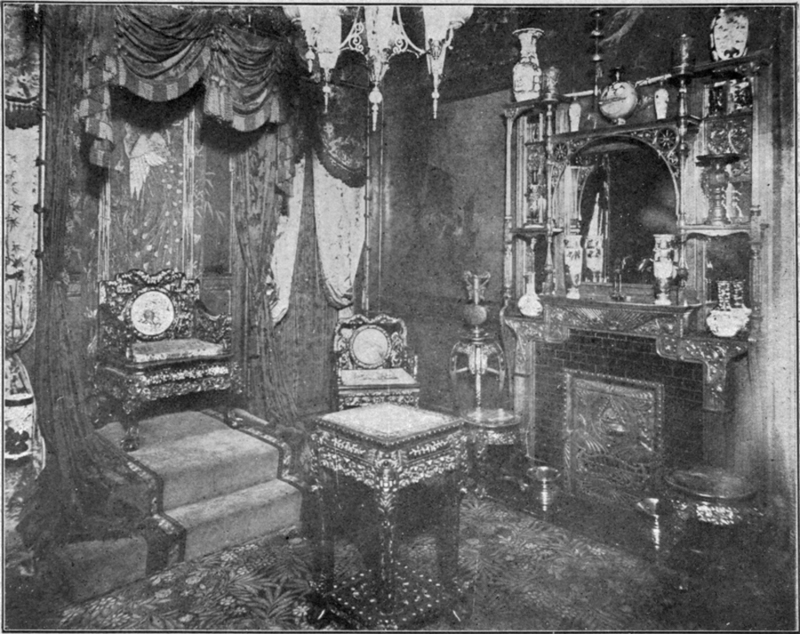 The Japanese Throne Room at the Everleigh Club. 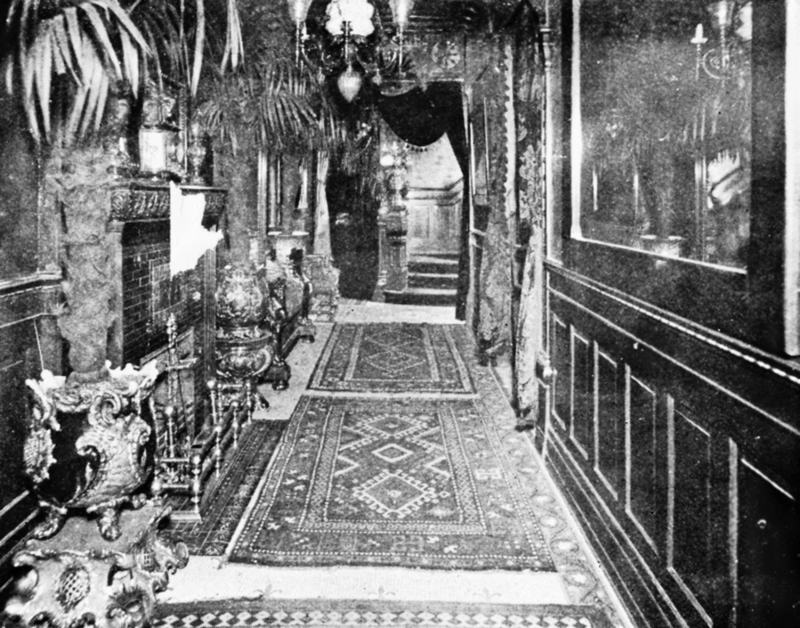 The Chicago Tribune called it "a harlot's dream of what a Japanese palace might look like inside."